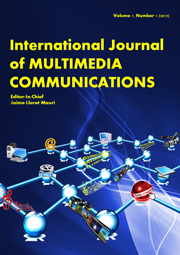 Old City Publishing is pleased to announce the launch of a new journal, International Journal of Multimedia Communications. Jaime Lloret Mauri, professor at the Universitat Politècnica de València (Polytechnic University of Valencia, Spain), will be editor-in-chief. Volume 1, Issue 1 is expected to be available in the spring of 2016. Further details to follow here on the OCP website. Available in the spring of 2016.